One Shot Fast Dry Gold Size is an exceptional self-leveling and fast setting size for use in gilding. Designed to retain elasticity, engine turning and burnishing can usually be accomplished up to five hours after gilding. 1 Shot Fast Dry Gold Size generally allows the application of 22 and 23 karat gold leaf within an hour, ande less precious and heavier metal leaf products sooner. 8oz. 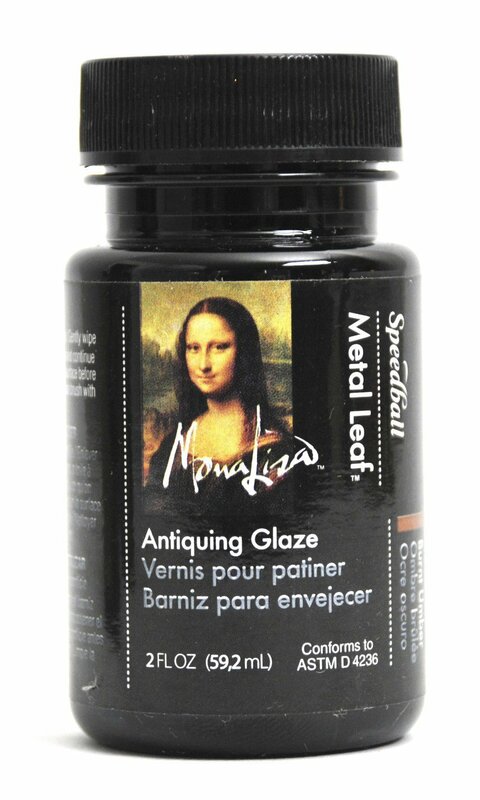 Mona Lisa Metal Leaf Antiquing Glaze in Burnt Umber is a water-based glaze specially designed to give an older, antique look to metal leafing projects. It cleans up easily with soap and water. 2oz. 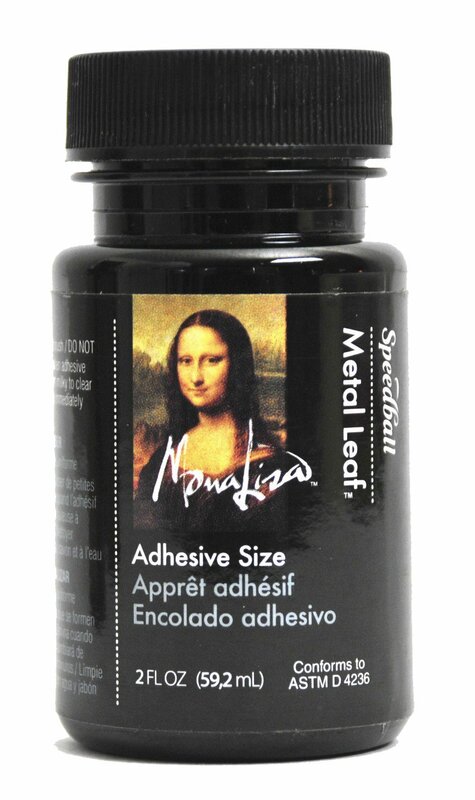 Mona Lisa Sealants are applied to metal leaf to protect its appearance. While pure gold leaf does not need to be sealed a sealant is usually applied to help insure that the leaf does not wear away over time. Composition and other leafs must be sealed to prevent oxidation and tarnishing. Available in 2oz. and 6oz. spray can. 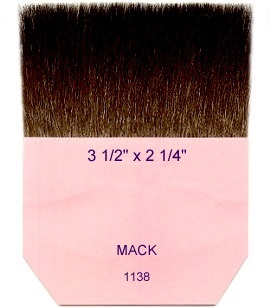 No.1138 Brush 3 1/2" X 2 1/4" length out. Single thick brown Kazan Squirrel Hair. 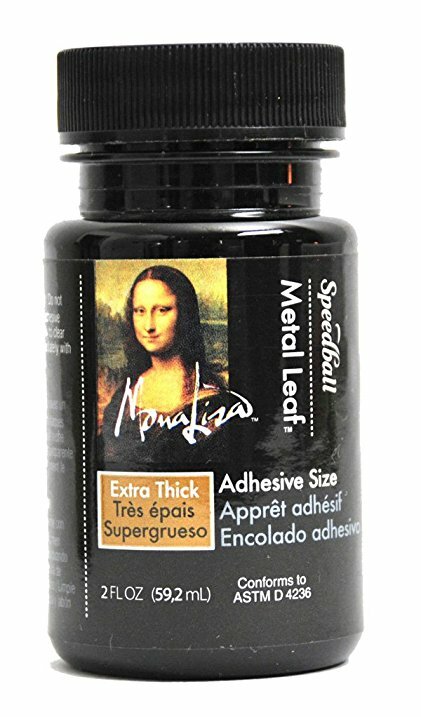 is an outstanding product that can not only be used for metal leaf but with other materials such as sand and glitter. This version is an extra-thick consistency that reduces running and allows the application of thick, even coats. 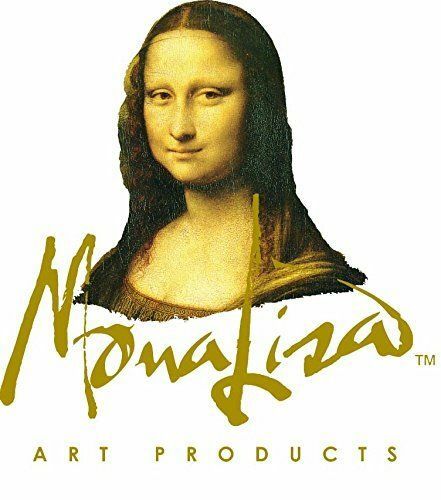 Excellent for stenciling projects as well as porous surfaces. Becomes tacky after 5 to 20 minutes depending on weather conditions. 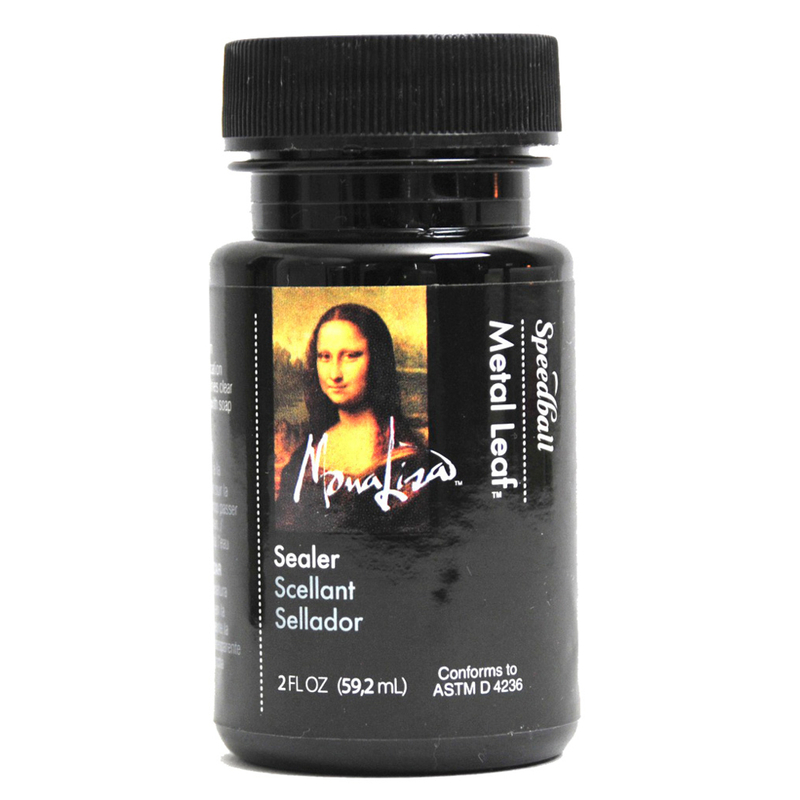 It is water based and slow drying to a clear finish and will stay tacky for up to 24 hours after application. 2oz.